The U.S. dollar broke the 20-peso barrier and made history Monday Sept. 19 with banks in Mexico City selling the greenback for as much as 20.08 pesos. The weaker peso came in spite of a weakening of the dollar itself and a rebound in the price of oil. U.S. crude oil prices were up 0.74% to US $43.35 a barrel. The dollar was selling for 20.08 pesos according to BBVA Bancomer and for 20 pesos at Banamex. The interbank rate was also down, declining 0.37% to 19.685, according to Bloomberg, after hitting a record low of 19.77 on Friday. 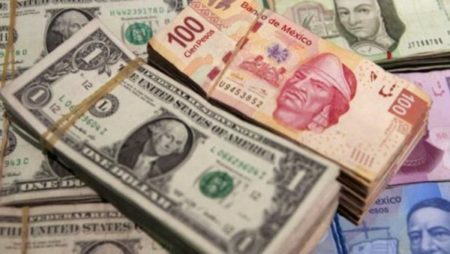 The peso’s weakening has been attributed to U.S. presidential candidate Donald Trump’s improvement in the polls, oil prices and uncertainty over U.S. monetary policy in the lead-up to this week’s meeting of the U.S. Federal Reserve. A policy announcement is expected Wednesday. Market consensus is that the base interest rate will be maintained at 0.25-0.5%, according to CNBC. Another event, this one in Mexico, will take place September 29 when the Bank of México meets. Some analysts are not discounting the possibility that it will raise its base rate from the current 4.25% in the face of pressure on the peso.